New FC Barcelona coachErnesto Valverde’s passion for football is almost matched by that for photography as can be seen in a new feature for the Club’s official media. The former Barça player takes a look at a series of historical blaugrana photographs that include as subject matter Johan Cruyff’s iconic goal against Atlético Madrid, Leo Messi’s celebration after the comeback against PSG and the six trophies won by the blaugranes in 2009. Finally, the 53 year old comes across a photograph that he took himself when he was a Barça player. “I was studying at the Catalan Institute for Photographic studies and the tutor asked us for a photo reportage and I went to the Born area to take photos. 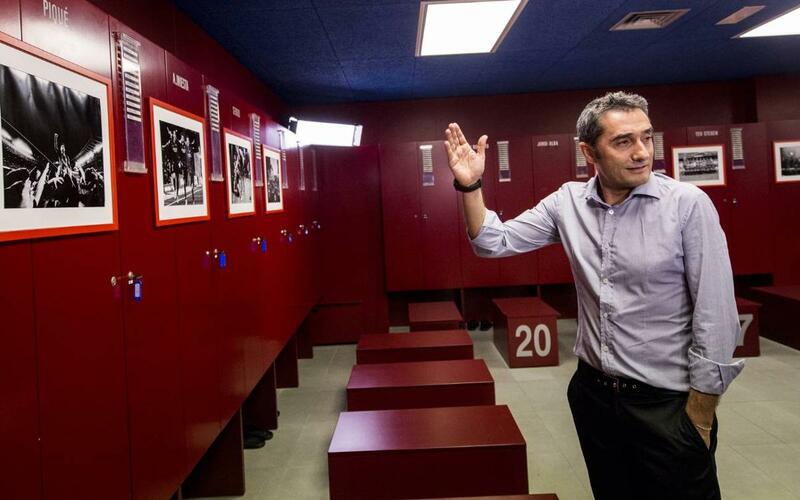 Now I think about it, it’s impossible to imagine a Barça player or first division player going to a city neighbourhood to take photos,” says a smiling Valverde.